Product prices and availability are accurate as of 2019-04-06 11:44:21 EDT and are subject to change. Any price and availability information displayed on http://www.amazon.com/ at the time of purchase will apply to the purchase of this product. Burgundy/Wine Red/Maroon balloons appear brown when received. Fill them with air and hold them up to the light and they will be burgundy/wine red/maroon. 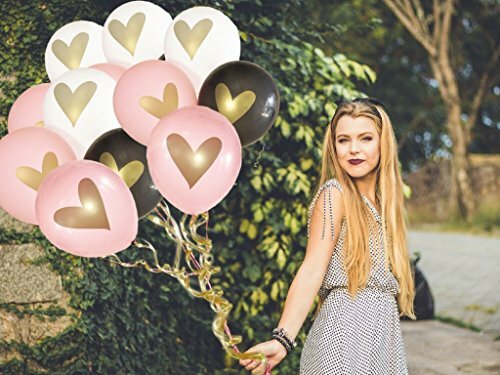 Love heart balloons add that extra WOW! 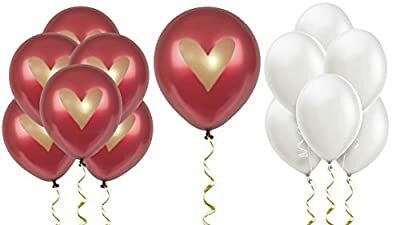 factor to your party.Please note balloons and heart appear darker until filled with air. Slight color difference may be because of computer resolution or lighting. We try our best to be as accurate as possible. Antique Gold heart appears brighter in photographs. Float times may vary due to altitude, environmental conditions, and proper balloon sizing. Research shows average float time is 5-7 hours. Float time can vary significantly based on the level of inflation (under inflation, regular inflation, or over inflation), size of balloon (9-inch, 11-inch, 18-inch), and external factors such as temperature and altitude. 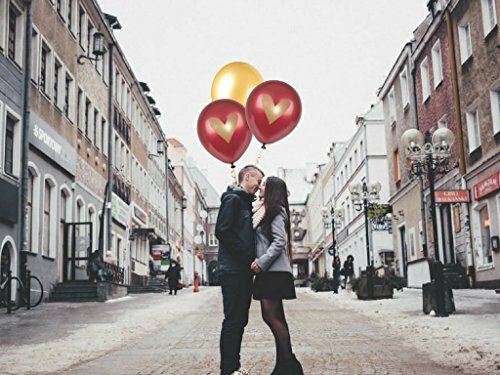 Balloons float longer in colder temperatures. We recommend inflating balloons 1-2 hours prior to the event for the best results. Do not inflate the evening before. HIGH QUALITY: ULTRA THICK latex stay inflated longer and are more opaque in color. 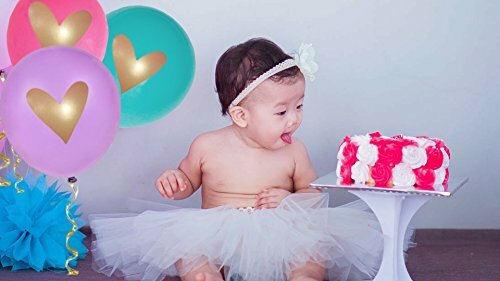 INCLUDES: Package contains 16 balloons (8) Burgundy/Wine Red/Maroon Gold Heart 12" Latex balloons (8) White Pearl 12" Latex balloons. All balloons are new and shipped flat. MATERIAL: Burgundy/Maroon balloons have an Antique Gold Heart and White 12" balloons are Pearl Latex with a beautiful shimmer finish. Filled with helium, they float. 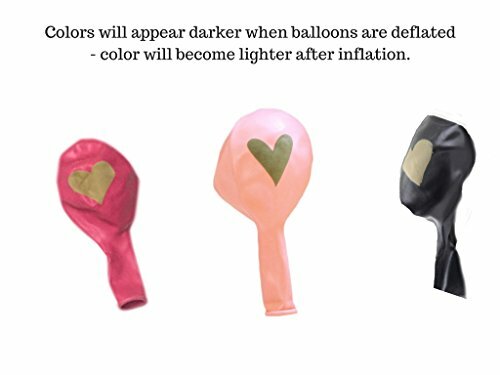 Please note, balloons and heart appear darker until filled with air. USE: Photo prop for guests. Party focal point or centerpiece. Perfect for proposals, general celebrations, birthday parties, vow renewals, love, valentines day, bridal showers, engagement parties, bachelorette party and weddings. WORRY FREE GUARANTEE: 100% satisfaction guarantee or your money back. We proudly offer Amazon's A to Z guarantee.